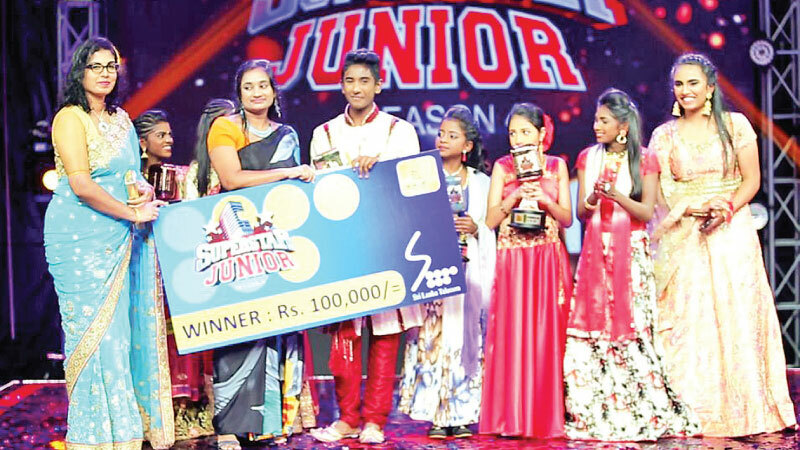 Sri Lanka Telecom, the leading telecommunication service provider in the country added another feather to its cap by becoming the Official Telecommunications Partner at Junior Super Star - the county’s only world class platform available for Tamil speaking community to showcase their talents. Organized by Shakthi TV, the finale was held at Stein Studio, Ratmalana on February 16th, 2019 in much grandeur. Lohaviyasan from Batticaloa emerged as the winner while Lavanya from Trincomalee and P. Ishitha from Wattala were adjudged as 1st and 2nd runners up respectively. Dinushika from Hatton and Kobika from Kilinochchi secured 3rd and 4th positions. Started in June 2018, the event contained of four episodes. The special feature of this talent show was that the auditions were held at contestants’ home towns instead at a studio in Colombo. Accordingly, auditions were held in Chilaw, Vavuniya, Mannar, Jaffna, Kilinochchi, Mullaitivu, Trincomalee, Batticaloa, Kalmunai, , Akkaraipattu, Bandarawela, Badulla, Hatton, Thalawakele, Nuwara Eliya, Kandy, Matale, Colombo and Galle. Candidates for the next level were announced through Shakthi TV. The panel of judges at the grand finale comprised of two eminent Sri Lankan musicians with award winning Bharathwaj acting as a special judge. For the first time in the country, a Super Star band will be formed with top four winners. SLT has partnered with Super Star Junior talent show since its inception. As a corporate citizen, SLT recognizes the importance of providing a helping hand to bring out the unique talents of our young generation and always supports such initiatives with much generosity.